It was another lovely month of inspirational people linking up to share it all with us at the Pretty Preppy Party! Thanks to all of you who were generous enough to let us see your projects! Here are just a few of the ones that caught my eye! 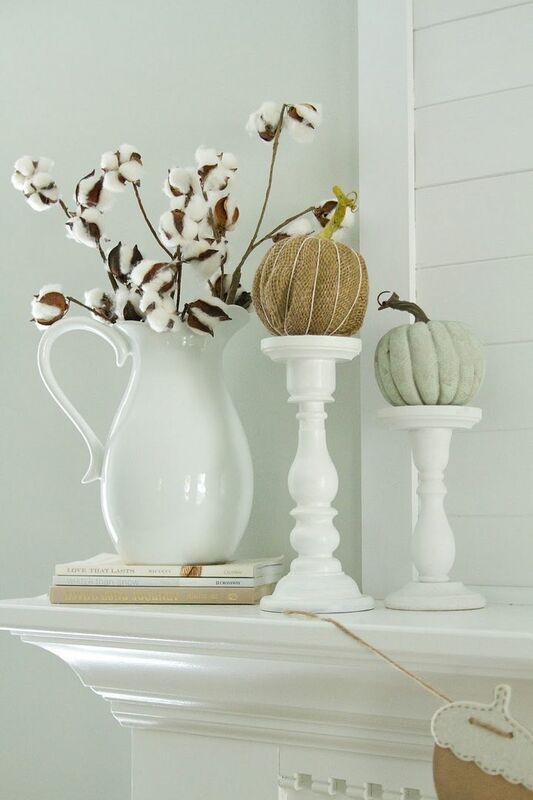 First was this gorgeous neutral fall mantel by Samantha at Little Bits of Home. Not everything has to be decorated in fall brights for the season, and this is a great example! Click here to see more of it! 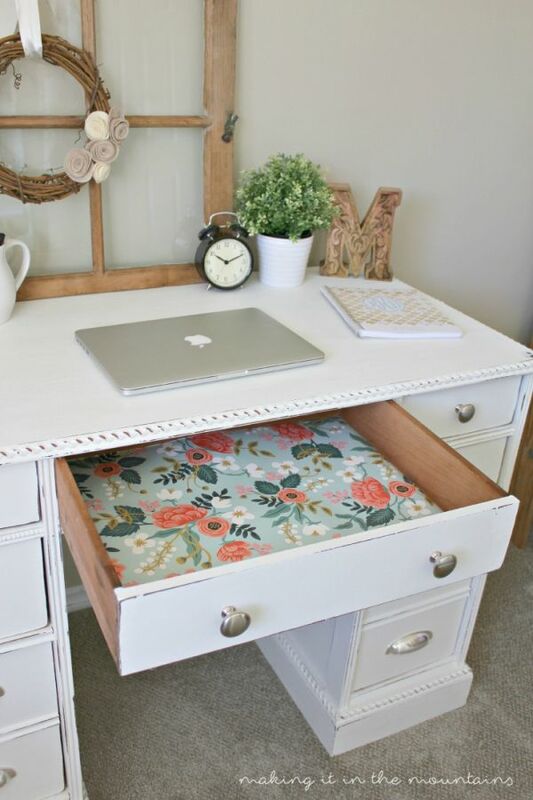 Next was this adorable desk makeover by Kristi at Making it in the Mountains. I love a good makeover, but it’s the story behind it that gets me every time! Click here to read all about it! And another fabulous makeover story is this one from Wendy at Designed to Dwell. 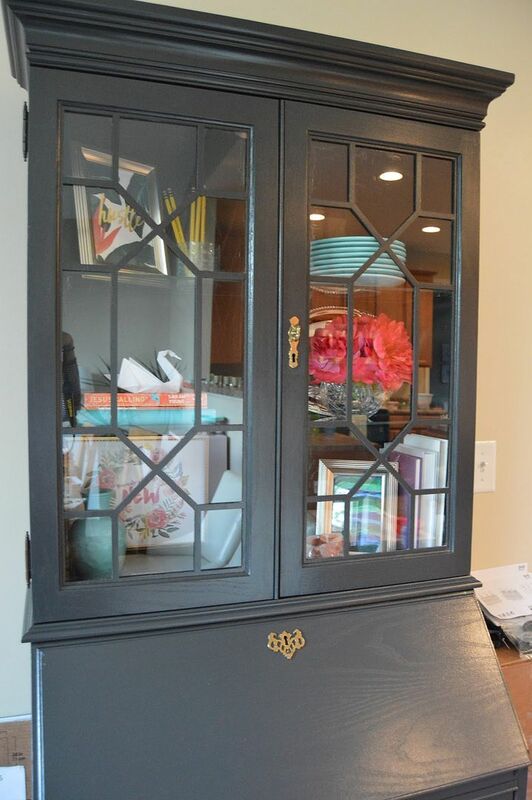 She transformed this beauty from orange oak to sleek black! More on it here! Be sure to go visit my fellow hostesses to see who they featured this month! And join us again on the next third Thursday for more preppy fun! This entry was posted in Uncategorized and tagged Fall, Inspiration, Pretty Preppy Party. Bookmark the permalink. Follow any comments here with the RSS feed for this post. Post a comment or leave a trackback: Trackback URL. Thank you so much for featuring my mantle! You made my morning!